One of the hardest things about having our house for sale, is having to have it spotlessly clean and ready for inspection at the drop of a hat. One of the best things about having our house for sale, is that it is always spotlessly clean…leaving me free to do plenty of fun stuff! Right now, I have just tipped out the mop water and put the vacuum cleaner back in the linen press. The children (and the dog) have absconded to the farm with Mr Barefoot. I’m as ready as I can be for today’s open, and it’s not even 9am. A silent, clean, empty house, calls for crafting. In the way of all things, what I want to do is pull out my paints and make a massive mess. But of course, one must be good, and not destroy all one’s hard work. My ACR Wave has already gone out to the farm this morning – it normally lives in my maker’s tote at the end of the lounge, and doesn’t really have another home, so I cart it back and forth every inspection. My choices then, lay with either my cross-stitch, or my crochet hexies. 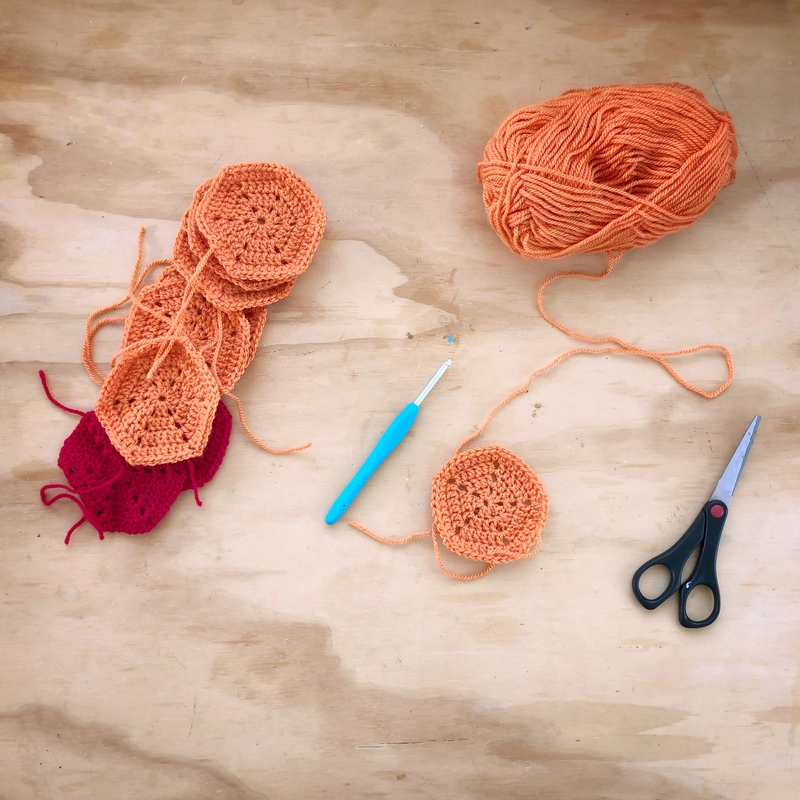 I’m halfway through the orange hexies, and thought I was on a roll, until I smoothed our “hexie” number 7…and promptly realised I’d stuffed up, and only started with five working pairs instead of six. I swear some days, if I had half a brain I would be dangerous. I need to vote, grab a democracy sausage, and then once I’ve met the agent and locked up after the inspection, it’s farm time. Tonight, I’ve got a fun new project to start for Saturday Night Craft Along. If I time everything right, I might even sneak that painting session I’m itching for. Have a fab Saturday, friends.